It's Fall and the one staple in your wardrobe is probably flannel. Am I right? This week, I'm sharing five great ways to wear this wonderfully warm fabric. This is probably one of my most favorite looks. It keeps you cozy and warm and looking well put together. I love vests in the cooler months because it gives you just the right amount of warmth without making you sweat and I love this houndstooth vest paired with flannel. 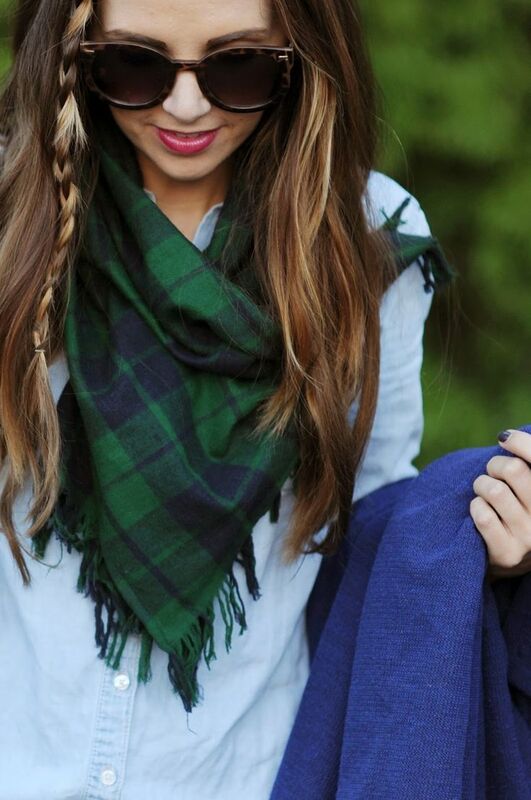 If you think head-to-toe flannel is too much for you, try a scarf! They are the best way to accessorize a Fall outfit and will keep you super warm. Pair your flannels together. I never really thought to do this because I thought it seemed a little odd, but this looks great so it's worth a try. I really like the flannel jackets like this one. It's fun and very casual for the trip to the store on a cold day or lounging around with friends. 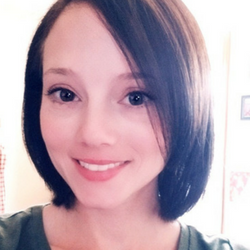 Thank you so much for stopping by my Friday list of favorites! Hope to see you next week! In the meantime, check out these other Friday Favorites posts! 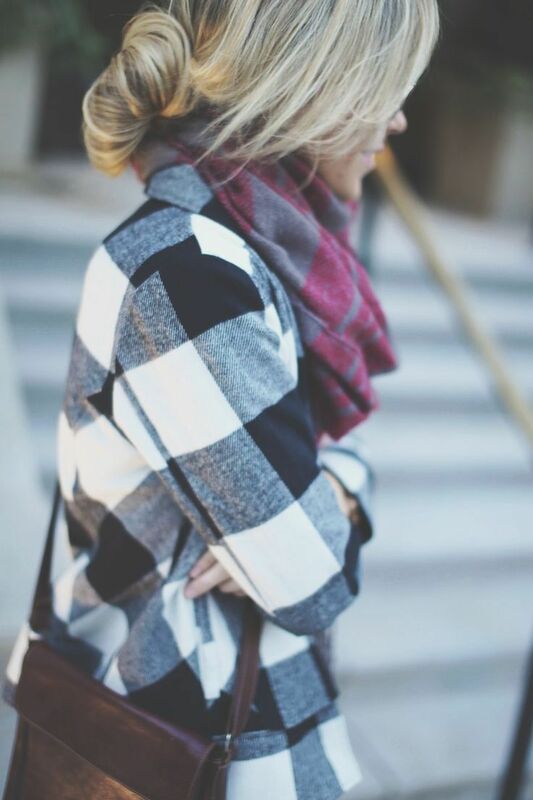 I love when flannels are paired together and that scarf is nice too! I love flannel shirts, I've got 2 but am always looking out for them. They are just so cosy and soft, perfect as the weather turns. Thanks for the collection of styling ideas. Nothing like a good flannel in the fall time. 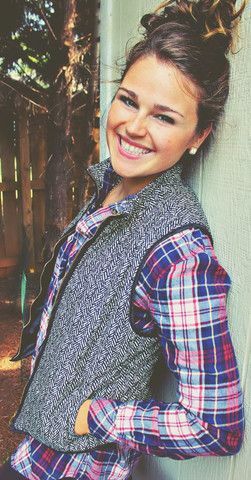 I love flannels and vests paired together! I am in love with flannel. Nothing better then a flannel top and vest on a crisp fall day. The comfy feel and warmth of flannel is perfect for really cold climates. We lived in MT for 7 yrs. after living in San Diego area for 21 yrs. so needed to find warm clothes. At least it was very dry in MT so not that humidity to make it feel colder as it was in KY when we lived there for 5 yrs. after MT. I found sweat shirts and flannel to be lot warmer than sweaters unless I wore flannel shirt under a sweater. Scarves are sure helpful also when wind blows there as it does like crazy sometimes. First winter we were there was 25 below during day for weeks. Had some winters was 40 below during day. That's MT. Have to have engine heaters on your vehicles or they freeze up on you. Loved it tho and would move back there if we could have what we had when we lived there from 92 to 99. Flannel shirts are some of my absolute favorites for fall, too. Love flannel! I definitely need to update my wardrobe! Gingham and a solid sweater - love!!! Thanks so much for sharing at Waiting on...Wednesday! Hope to see you back next week! I love all of these picks! I especially love the vest and flannel. Can't wait for the weather to cool down. Love your picks. Thanks for sharing at the party. Hope to see you again soon. 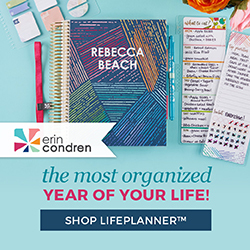 Thanks for sharing on My 2 favorite Things on Thursday - link Party! Hope to see you again this week! Pinned!